Nestled away in Zhejiang Province, the village of Zisiqiao has nurtured a reputation as being one of China's " best snake villages." Producing about 3 million snakes every year, 90 percent of its 170 families depend on snake-raising for income, even rearing venomous snakes such as cobras and fer-de-lances. Internationally, about 70 percent of breeding snakes come from China, and 30 percent of China's snakes are bred in this one village, according to Yang Hongchang, 60, known as "the snake king." Villagers don't raise snakes all year around but from when they hatch in spring and sell them before winter comes. Almost every villager has been bitten by snakes numerous times. Yet local children are not afraid of snakes at all. "People in the city keep dogs or cats, while our children raise snakes as pets. 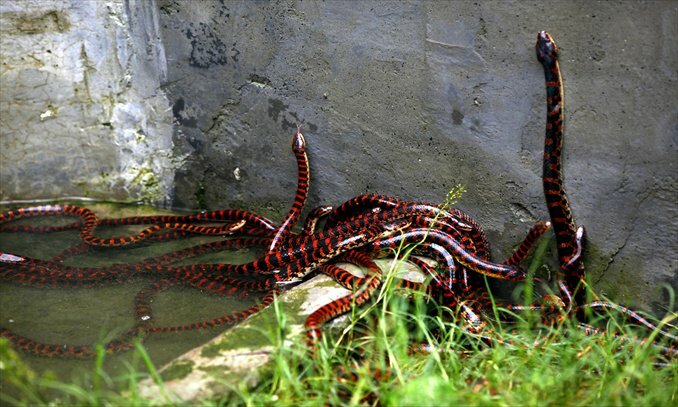 They put snakes in the bathtub to bathe together in summer," a villager told the Global Times. 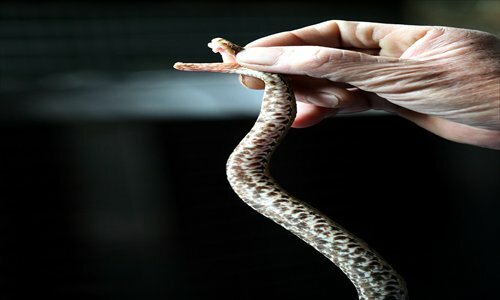 "People in snake villages raise snakes as other people raise chickens or cattle, and they do it as a profession," Jiang Zhigang, a researcher with the Institute of Zoology at the Chinese Academy of Science, told the Global Times. Besides, raising wild animals in the proper way is encouraged by the Chinese government, as it can provide medical products and also help boost protection, awareness and research about wild animals, Jiang said. For many people, snakes are a repulsive species, but to Yang, every part of the snake is a treasure as their skin, gall and venom all have medical uses. Yang has been raising snakes for over 20 years and has witnessed the process of Zisiqiao village lifting itself out of poverty thanks to their scaly friends. In the 1980s, Yang was as poor as other villagers. He was seriously ill and needed to take traditional Chinese medicine containing snake parts or organs, but couldn't afford the medicine fees. He thought of catching snakes himself since they were found in abundance around the village. His health condition improved and he gradually became a master snake-catcher. He sold the snakes and made more money than in his previous fishing trade. This inspired other villagers to follow Yang's career change. However, this wave of popularity meant that the number of snakes began to decrease until Yang hit on the idea of raising them. 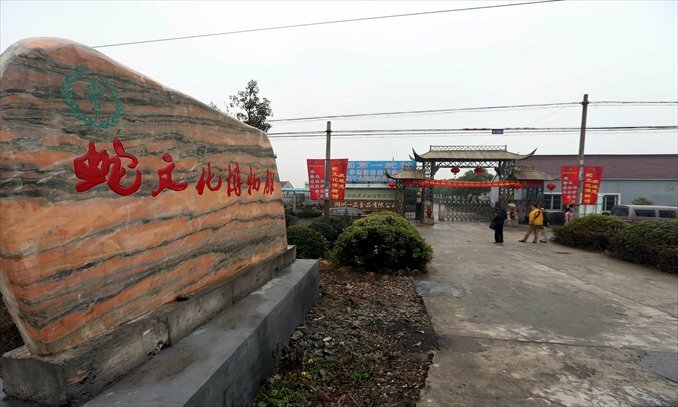 In 1985, Yang spent all his savings on building a snake farm, the first one in Zisiqiao. 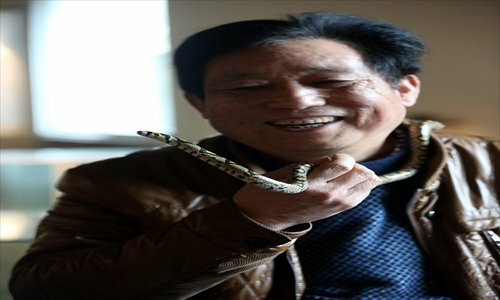 After years of learning and practice, he managed to raise 50,000 snakes, and earned over 100,000 yuan. Again, villagers followed his lead. Now, Yang has three enterprises, focused on the breeding of vipers, production of snake meat and processing of health remedies. Their combined yearly sales totaled 20 million yuan last year, according to Zhejiang local media. 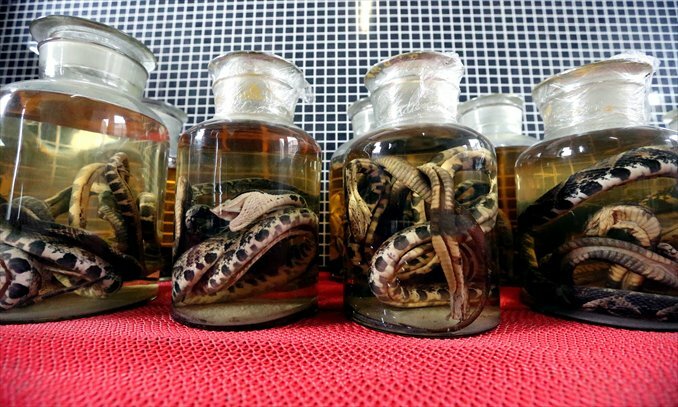 Last year, the village established a snake museum, the first of its kind in China. 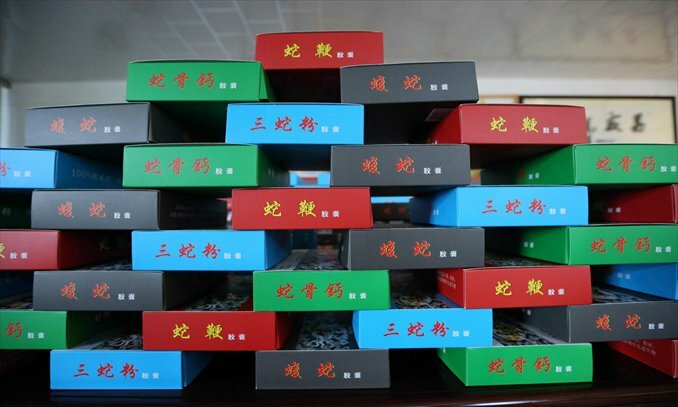 They now plan to build a reptile rehabilitation center, and he is confident that Zisiqiao will become more prosperous, as the Year of the Snake has just begun.